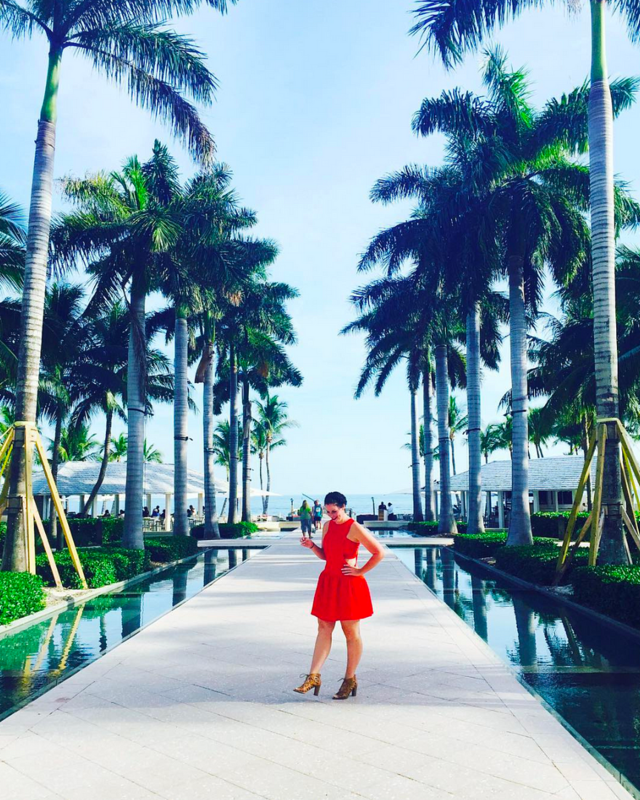 Today I have my friend Alison taking over to talk about one of my favorite fashion accessories, Cowboy Boots! Anyone, male of female, in attendance for an SEC football tailgate is required to wear cowboy boots. I don't make the rules, I just enforce them. Her blue fringe boots are putting mine to shame... brb gotta go shopping. Also, I have a few spots left open in the July group giveaway. If you'd like to participate, email me and I'll give you all the details! Now, I like my regular cowboy boots, but if I had to choose, I would pick one if these more fashionable pairs as my favorites. Mainly because these are just so fun. Lets talk about each of these pairs. Ok, does it get any better than blue and fringe? I drooled over these Liberty Black boots for awhile and then finally bit the bullet and bought them when I found them on sale. At first, I was worried how functional they would be, but they surprisingly go with a lot of things. This outfit has a lot going on, but I've also worn them like this so the boots can be the focus of the outfit. Wear boots like this with a simple shirt and pants or a skirt. I joke that these are my stompin' boots. The toe shape is the standard cowboy boot, but the stitching and OTK height ups the ante fashion-wise. Here I wore them with a dress, but these are perfect to wear with jeans or leggings. These Liberty Black boots are my newest acquisition. These short boots are great for summer when you want to keep your toes covered and protected but want to keep your legs bare because of the heat. How perfect would an outfit like this be for tailgating this fall? These will also work great with skinny jeans/pants tucked in as well. There you go! 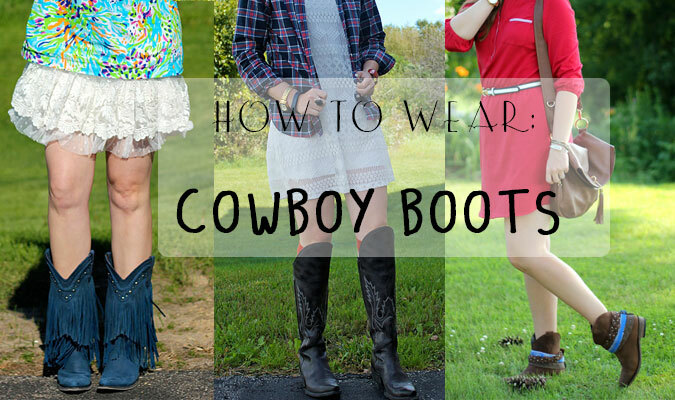 I hope this gives you some new ideas on how to wear cowboy boots or to purchase your first pair. I've never seen the over the knee boots like that- LOVE them! love all the way you style your boots. I so need to wear my boots more. I love Cowboy boots, can't wait to break mine out for the fall! Love the booties, so cute! I want to be a boots person, but I just...am not. Droooooling over those fringe books - loooooove! I have those blue fringe boots in red and I'm obsessed with them! They are definitely a football season staple in my wardrobe!